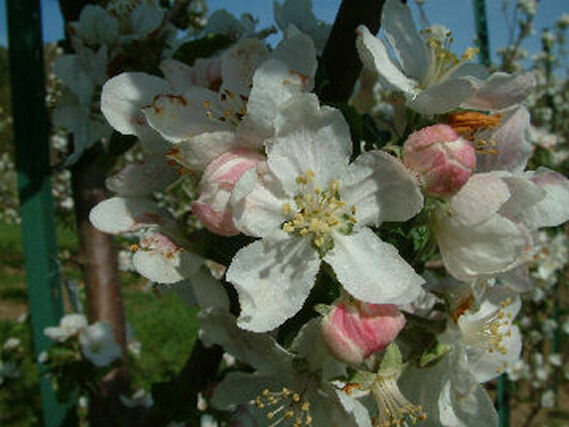 Described by Lee Calhoun as the “quintessential Southern apple”, Buckingham has been grown in the South for over 200 years. Its history is unclear, but believed to have originated in Louisa Co., Virginia in the late 1700’s. 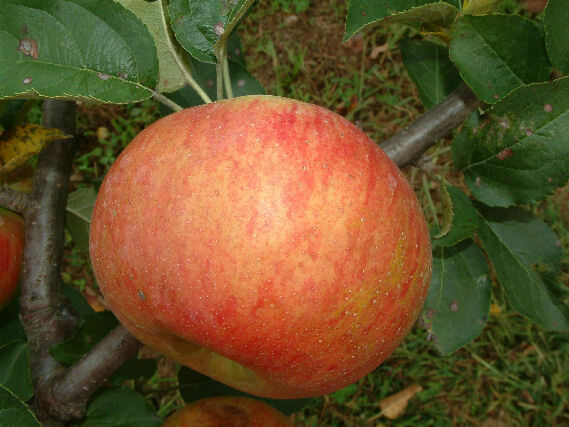 Fruit is large and slightly conical with thick, smooth yellow skin mostly covered with dark red striping. The yellow flesh is tender and juicy with a sprightly subacid flavor. Ripens in the early fall in the mountains.